Perhaps in one sentence the Scotsman encapsulated the increasing levels of vitriol guided towards Raiola. And many would claim it has not been undeserved. The Dutchman has become notorious, an unpopular representative of the ruthlessly capitalist, financially driven modern game. But Ferguson’s assessment that he is a “bad agent” is something of an oxymoron. Raiola, for all the criticism he receives, is anything but a bad agent. He is, in fact, the best. Born in Salerno, Italy, Raiola moved to the small Dutch city of Haarlem with his family as a baby. Accompanied by several migrating Italian families in the late 1960s, the Raiolas opened a pizzeria – Napoli – in the local market. Raiola was a keen worker, even as a boy, and soon began to help out around the restaurant. He would clean up, wash dishes and even wait tables on occasion. “My dad worked 18, sometimes 20 hours a day here,” Raiola reminisced in an interview with the Financial Times. “At work he is extreme. When I was 11 or 12, I went to work with my dad to get to know him. He was in the kitchen, so what could I do? I could wash up.” His father’s influence has been evident throughout his career. From an early age, Raiola was showing signs of the business acumen that would later serve him so well. His regular interaction with customers helped hone his communication skills – in both Italian and Dutch – and the youngster was given the responsibility of dealing with any complaints, while working with banks, proprietors and suppliers. Raiola’s maturity belied his youth, and so did his shrewdness. By the age of 19 he was a millionaire. He had purchased a nearby McDonald’s and sold it to a property developer for a fortune, leaving him in a comfortable financial position before he had completed his teens. Such an apparent business prodigy would have been forgiven for pursuing a lucrative career in the corporate world, but that wasn’t his passion. Football was, so in his early 20s Raiola dropped out of his law degree and took the role of technical director at local club FC Haarlem, for whom he had played as a reasonably talented youth player. He later recalled how, in typically bold fashion, he had achieved such a drastic rise in the club’s ranks at such a young age, and with no prior experience in a similar position. “The president of Haarlem came to eat us with every Friday,” he said. “I was always telling him that he knew nothing about football. So one day he takes me aside and says ‘listen, you try it’.” And with that, Raiola was appointed technical director. He had big plans and arrived with typical assertiveness, but as has been proved on numerous occasions since, Raiola’s demonstrative personality was not conducive to the requirements that came with such a high profile role. He quickly fell out with the club’s other directors and left. It gave Raiola the chance to focus on Intermezzo, the company he had founded prior to his appointment at Haarlem, which helped Dutch businesses operate in Italy. Through Intermezzo, Raiola helped facilitate the transfer of Dutchman Bryan Roy from Ajax to Foggia, spending seven months with the player and experiencing his first taste of life as a football agent. He even helped paint Roy’s new house. The success of Roy’s move, and Raiola’s importance in the transfer, did not go unnoticed. Rob Jansen, one of the Netherlands’ leading agents, asked Raiola to act as an interpreter for the sale of Ajax’s Dennis Bergkamp to Inter Milan in 1993. Jansen was impressed and gave him a job at his company, Promotion Sports, but ever the individualist, Raiola opted to walk away and work on his own. Jansen was furious, but it didn’t faze Raiola. A super-agent needs thick skin. In Foggia, Raiola forged two of the most important relationships of his life: his wife, and coach of the then Serie A club, Zdeněk Zeman. Raiola and Zeman had a friendship made up largely of lengthy discussions on football, in which the latter often spoke of his desire to find the “perfect player”, someone with equally proficient technical and mental attributes. 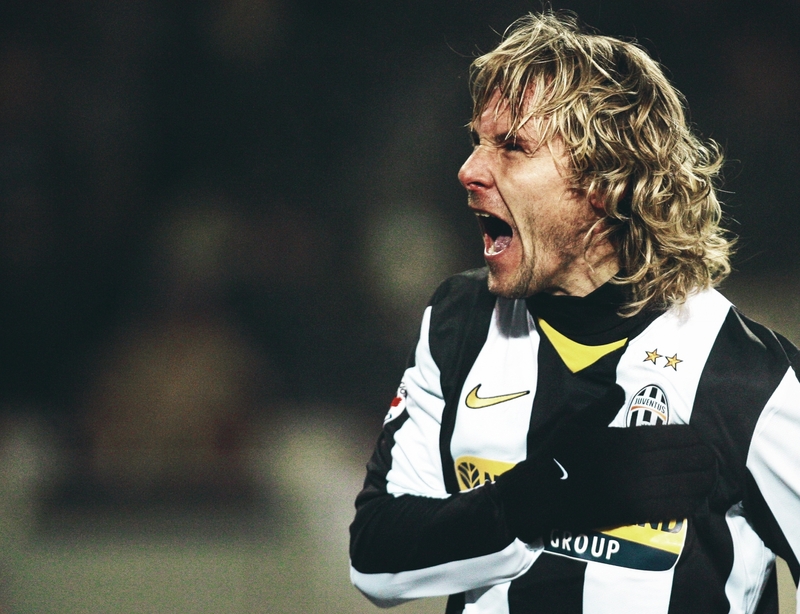 Raiola didn’t think such a player existed – until he found Pavel Nedvěd. “The only thing he thinks of himself is that he can’t play football,” Raiola said of the Czech midfielder. “But he can train harder than the rest.” Nedvěd would eventually become Raiola’s first big name client, but first he instigated his sale to Zeman’s new club, Lazio. Raiola’s publicly expressed admiration for Nedvěd is a trait that has been prevalent throughout his career. The interests of the player appear to be a genuine concern for a man often labelled as nothing more than a self-obsessed narcissist. 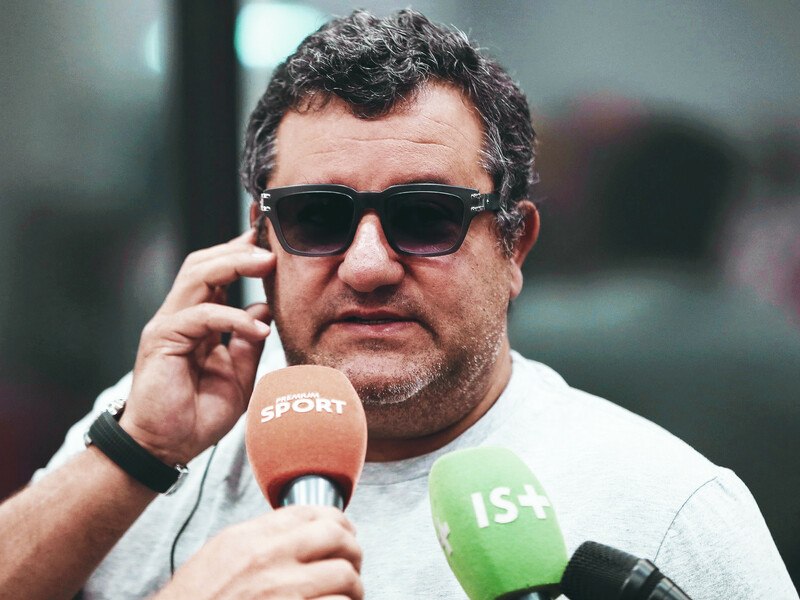 Undoubtedly Raiola enjoys the prosperous fruits of his labour – in that he is unapologetic – but his concerns for his clients, and his ability to look after their best interests with such assurance, have made him a popular choice amongst some of Europe’s elite players. “Madonna mia … You could write a book about it.” Those were Raiola’s words when asked about the transfer of Nedvěd to Juventus in 2001. The midfielder had been happy in Rome, enjoying his family life and content with his form for Lazio. “Reserved, diffident,” is how Raiola described Nedvěd. “Football means a lot more to him than money.” Which of football and money means more to Raiola, however, is far more ambiguous. Nedvěd had placed a great deal of trust in his agent. This was a less experienced Raiola but one equally adept at earning the respect of a client. Nedvěd eventually agreed to Raiola’s incessant pleas to consider joining Juventus, and the two took a private jet, in secret, to Turin to begin negotiations. Raiola had scheduled an appointment with Moggi, then technical director at Torino, for 11am, and arrived 15 minutes early. He was greeted by a room full of people – “like going to the dentist” – and was informed that everyone present was awaiting the same person. Raiola had no intention of sitting patiently, so he immediately left, but shortly after found Moggi eating lunch at a restaurant popular with Torino staff. 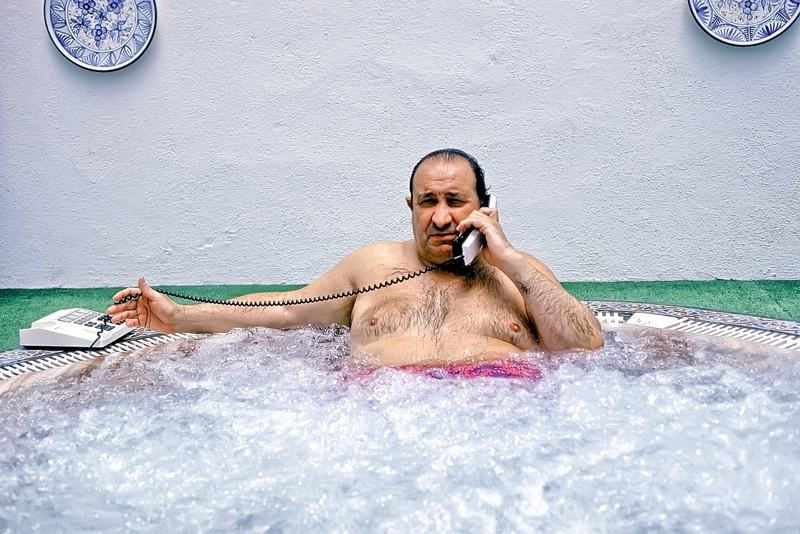 Raiola approached, and said: “Are you Mr Moggi?” “Yes,” came the reply. “I find it very rude that you made me wait.” Moggi wasn’t impressed. “Who are you?” he asked. “I am Raiola.” “Ah, you’re Raiola. If you’re this unpleasant to me, you will never sell a player in Italy.” Raiola would prove him emphatically wrong. Juventus approached negotiations with Raiola over Nedvěd assertively. They expected their demands to be met, for talks to be completed swiftly, particularly following Moggi’s stunt with the press. Raiola, though, was in his element. He has described contract negotiations as “my matchday”, and in this particular scenario, the Dutchman was on top form. “I want Pavel to earn more than Zinedine Zidane at Real Madrid,” Raiola told the Bianconeri directors. His proposal was laughed off, and Nedvěd signed his name on the blank contract that had yet to be filled with any numbers. “Mino, I am now going home and in the morning you tell me if I am playing for Juventus or Lazio. You are my agent,” he said. In a panic, the Juventus directors agreed to the conditions. As Raiola puts it: “They said: ‘Alright, we will give you X.’ But then I told them: ‘I changed my mind, I don’t want X, I want Y.’ ‘You are crazy,’ they responded. And the war began.” Raiola left with the deal in the directors’ hands, and the following day, his demands had been met. Portly and charismatic, often dressed in unassuming attire, it would not be a surprise to see Raiola still working in an Italian eatery, taking orders or perhaps making a Marinara. Or as Zlatan Ibrahimović, Raiola’s next big client, pointed out in his autobiography I am Zlatan, appearing as “one of the guys in The Sopranos”. Raiola’s masterful handling of the Nedvěd transfer was career defining. He had more contacts, was respected, and most importantly, had significantly enhanced his reputation. Being forthright and at the centre of attention is crucial. It’s likely that the few agents most football fans are aware of are the most controversial, those who push the parameters of their jobs to the limit. After Nedvěd came Ibrahimović, the eccentric Swede who needed an agent to match his own enigmatic character. Raiola was recommended by friend and Dutch journalist Thijs Slegers, although he warned that the Italian-born Dutchman was “a mafioso”. “Mafioso sounds good,” Ibrahimović replied, and a meeting was arranged. This was business as usual for Raiola. He quickly realised that Ibrahimović’s ego needed curtailing, and before making his exit, asked the imposing striker: “Do you want to be the best in the world? Or the player who earns the most and can show off the most stuff.” Ibrahimović was taken aback, but impressed. He wasted little time in phoning Raiola, who informed him that he would have to sell his exuberant watch and his cars and concentrate on training. “Because your stats are rubbish,” he said. “Sure, absolutely,” was Ibrahimović’s response. Raiola played a significant part in Ibrahimović’s later success, acting as an intermediary for a lucrative move to Juventus, followed by later big money deals to join the likes of Barcelona, Inter Milan and Paris Saint-Germain. After 15 years of working with Raiola, he is the second-most expensive footballer in history; the €131 million paid for the Swede throughout his career would have been enough on its own to make the super-agent rich. But money isn’t the main concern for Ibrahimović; he sees Raiola as a friend and mentor, and as the man who taught him a lesson in priorities as a youngster. 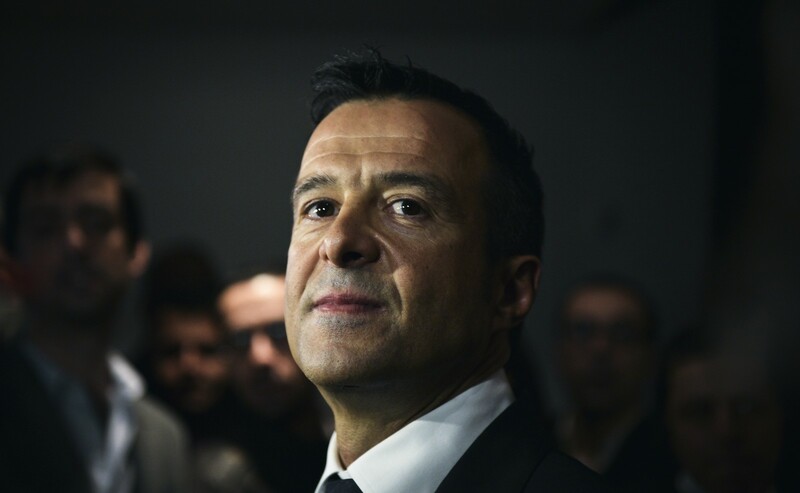 Not all of Raiola’s clients have proved money-spinning success stories. Take Mario Balotelli, a player with undisputed talent but an attitude that has hindered and held back a career full of potential. The confrontational Italian striker is now with Nice in France, and Raiola has admitted that he shares some of the responsibility in the failure to reach his potential. “If Mario Balotelli had Zlatan Ibrahimović’s head, Lionel Messi would have fewer Ballon d’Or awards,” he once said. Still, there remains that unique bond between player and agent that Raiola appears to have mastered. Balotelli once phoned his agent, in a panic, to say his house was on fire, to which Raiola suggested he try the fire brigade. It’s this kind of inherent devotion towards his players that has seen Raiola rise above his competitors. Raiola, approaching his 50th birthday and now an experienced, calculated negotiator, is also well aware of what it takes to get the attention of a young, disillusioned player. When he discovered Paul Pogba a few years ago, a player with determination to match his supreme talent, Raiola capitalised on his lowly status at Manchester United. He told the young Frenchman he was “underpaid and undervalued” at the club, and set in motion his eventual exit. Pogba joined Juventus and thrived, before Raiola instigated his return last summer for a world record fee of £89 million, of which he is said to have received around £20 million. It was a move that filled Raiola with vindication and only served to further enhance his ever-growing reputation. The rise of a character like Raiola raises serious questions about football in its current state. The game appears to have been engulfed by a wave of relentless consumerism, blinded by the seemingly insatiable appetite for more and more gratuitous spending. 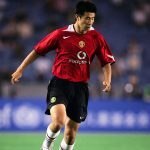 It could be argued that Raiola and his fellow super-agents are simply beneficiaries in a time of obscene television deals and ludicrously rich owners, but there is little to suggest that their work has any positive impact on football, other than to satisfy the modern day thirst for dramatic transfer news. There is, however, much to admire about Raiola; his loyalty and his business acumen, his undoubted intelligence and perspicacity. But he is certainly not for the purist. He could be considered a realist, a ruthless pragmatist who has no qualms about ultimately damaging the game he has professed his passion for. And he is unlikely to find his talents without use any time in the near future. The vacuous frenzy of the transfer window benefits everyone in the short term; players, managers, fans, executives, journalists and, of course, agents. But in the long-term, Raiola is likely to be one of the few standing triumphantly as football, through the loss of youth development, tactical progression and any sense of purity, grows increasingly vapid.